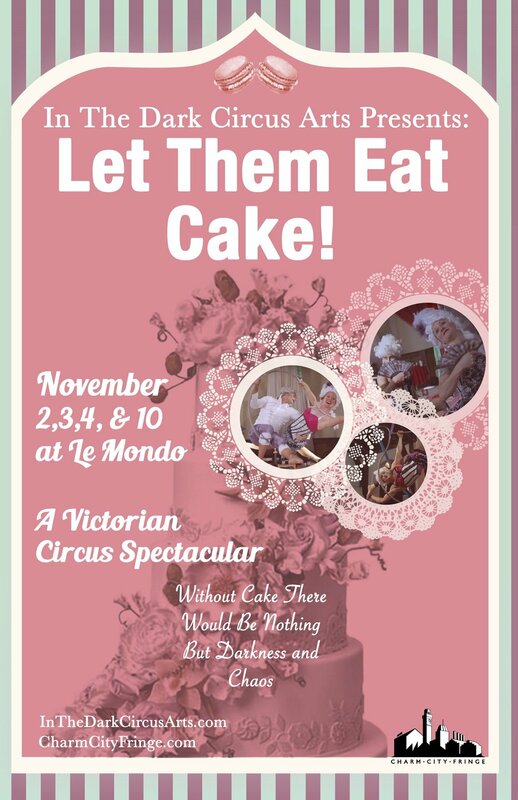 Come out and enjoy the debut of our fanciful show - ‘let them eat cake’. Experience the all the silk, lace, glamour, powdered wigs, champagne and of course comedic circus - what in the Dark circus arts does best….. centered around the all encompassing theme…. cake!!! This year in the dark circus arts is hosting a circus workshop at the Baltimore theatre project on Friday July 20th at 3pm. here you can give aerial fabrics and trick hula hooping a whirl and see what it's like to be a circus star!!!! 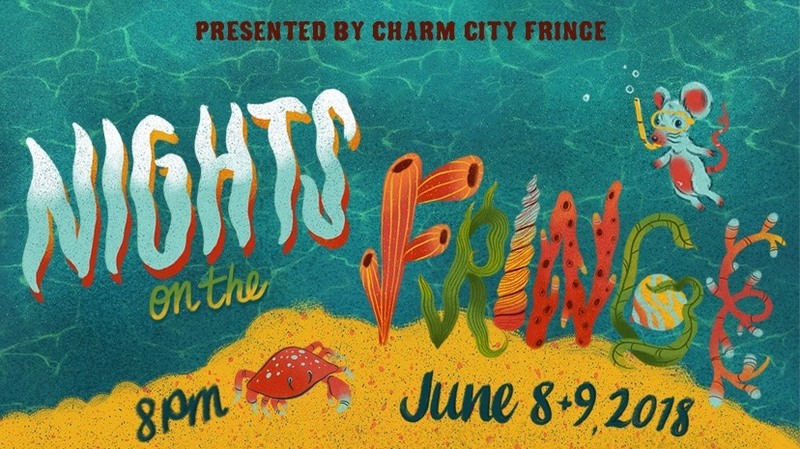 Saturday June 9th - Nights on the Fringe! Come see IN the Dark Circus Arts perform a 15 minute set where we roll, spin and fly in the roaring 20's! Check out our Let Them Eat Yule Log video! Welcome to Let Them Eat Yule Log presented by Baltimore's own In the Dark Circus Arts! We are celebrating this holiday season with a traditional 18th century style holiday party - with a twist... we have brought the circus.... and yule log! In this show we will take you back to a time with powdered wigs, satin shoes, waltzing, caroling and a household staff that is completely dysfunctional. I mean it is the holidays...right? You will be dazzled by acts on aerial apparatuses, amazed by the spinning Cyr wheel and amused by our hand balancers. Lastly, for those with a sweet tooth, you will not be disappointed with our finale! The Mobtown Ballroom has a full bar so come ready to drink and be merry! There is ample street parking by the ballroom but we always encourage our city folk to carpool and or use Uber/Lyft for easy access. In the Dark Circus Arts is Baltimore's premiere circus school and performance company!